Over 40% of what we find in our plates including many fruits, nuts and vegetables, results from the pollination process. These “services”, mainly by bees but also butterflies, birds, bats and flies add over $215 billion annually to the global economy – some seven times the revenues of a multinational giant like Coca-Cola. Bees, including commercially managed bees, provide the bulk of this value through pollination while the honey, propolis, royal jelly and wax they produce represents only a small fraction. But the role of bees extends well beyond the economic. Ancient civilizations recognized and celebrated bees and their role in spreading the genetic material of thousands of plants. Honey was revered across the ancient world as a regenerative and mystical substance and the food of the gods in Mayan culture. In the Garden of Eden it is said that honey dripped from trees like rainwater and as far back as 5,000 B.C., “King Menes”, founder of the First Dynasty of Egyptian Kings was called the “Beekeeper”. Today, industrial agriculture focuses on the utilitarian role of bees to pollinate vast monocultures. Honeybees are shipped when and where needed. The California almond is a case in point. 800,000 acres with 90 million almond trees stretching for more then 600 kilometers provide over 80% of the global almond production. With pollen available only in February, bees would starve in this environment. They must therefore be trucked-in from across the country for the job. A major logistical effort for some 5,000 trucks to bring 1.6 million beehives. This scale of trucking bees around is not without danger – accidents are common. Just last week, North of Seattle, a truck carrying over 20 million bees for blueberry pollination overturned on the highway, spilling 458 beehives that firefighters doused with flame retardant. But the troubles of bees extend well beyond highway crashes. In the United States, beekeepers are reporting annual bee losses of 30% and more and the number of colonies shrank from its 5.5 million hives peak in the 1950s to less then 2.5 million today. This is the result of a combination of habitat loss, inadequate diets, mite infestation and disease, loss of genetic diversity and pesticides. In Europe, since 1994, neonicotinoid pesticides have been associated with Colony Collapse Disorder (CCD) – where the insecticide confuses bees to the point where they abandon their hive. The same has been observed across the United States since 2006. UK studies link the pesticide to an 85% decline in queen production and confirm disruptions in the ability of bees to navigate and communicate. This is why the European Commission banned them in April 2013. Given that a worldwide ban would deprive Syngenta of 6.5% of its sales (source: Schroders Research), the science behind bees and pesticides is hotly debated and another culprit is pointed, the varroa mite, a parasite that has spread from Asia to the rest of the world and for which the impact of chemical treatment is showing mixed results – it is said that chemical treatment has helped the mite become more resistant at the expense of the bees. Biodiversity decline and habitat loss are also having their toll. While farms located near natural habitats fare better, a study found that since the 1980’s there has been a 70% decline in key wildflowers. 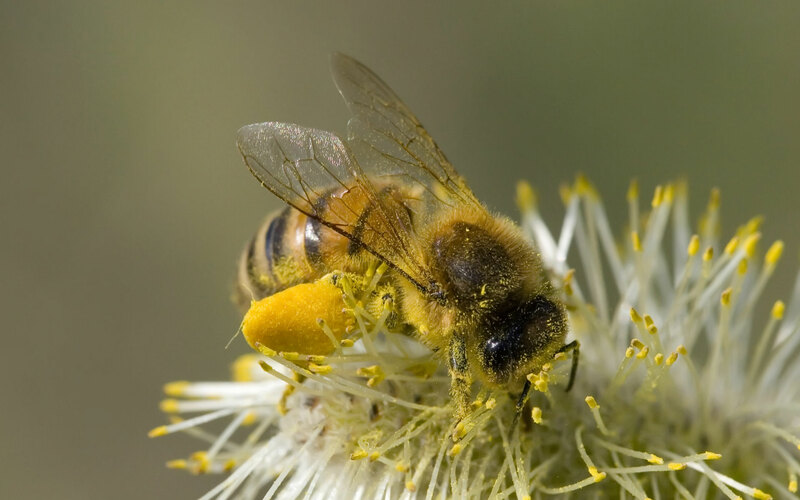 This means a lower diversity of plants from which bees can collect pollen. The genetically modified and neonicotinoid infected corn syrup they are fed by commercial beekeepers for their subsistence diet are also not helping. The bee crisis is causing shockwaves well beyond environmental circles. New research by Schroders Investment Bank on “Bees and the Stockmarket” warns of impacts across industries including agrochemicals, food producers, retailers, beverages and the luxury sector. Meanwhile, the Obama Administration talks of a serious threat to food security and announced a federal strategy to protect honeybees, address habitat loss and biodiversity decline. $50 million has been appropriated across various agencies for research and to restore hospitable habitats for bees and other pollinators like the Monarch butterfly. Public authorities, the private sector and the public at large – all have a role to play. In 2010, the city of New York overturned a ban on beekeeping that had been in place since the late 1990s and “bee mania” has been spreading since with beehives being installed on skyscraper rooftops, community gardens and school backyards. Even the most exclusive institutions like the Waldorf Astoria Restaurant have joined this movement – its has six beehives located near Central Park and serves the most prestigious honey in town. The private sector is also on board with organizations like the Cirque du Soleil in Montreal and the LVMH Group in Paris setting up hives at their headquarters and engaging in the protection and promotion of bees. But much of the leadership comes from individuals and associations around the world that are fighting unfriendly regulations and attitudes, overturning bee bans, installing hives and creating bee-friendly gardens with native wildflowers that benefit all pollinators. It may bee that in their consciousness, people everywhere are starting to realize that by protecting bees we are also protecting ourselves. This entry was posted in Biodiversity, Energy efficiency, Food security and tagged Almond, Bees, Biodiversity, CCD, climate change, Colony Collapse Disorder, EU commission, Food security, Honey, LVMH, neoniconinoid, Obama, Pesticide, pollution, Queen of the Sun, Schroders by adamkoniuszewski. Bookmark the permalink. 200-610 boul. St. Jean, Pointe-Claire, Québec H9R 3K2 – Nouvelle Adresse!